Ethics - How to Effectively Police the Pharmaceutical Industry? 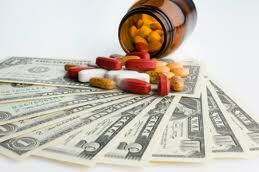 Ethics – How to Effectively Police the Pharmaceutical Industry? The pharmaceutical industry is one fraught with ethical challenges. There is an obvious disconnect between increased profits and best practices as it relates to patient health, and the sheer size of the industry makes policing problematic. It was reported earlier this week that allegations of bribery are being levelled against French drug company Sanofi. Allegedly, the company paid over $250,000 in bribes (labelled as ‘research grants’) to 500 doctors throughout China in order to increase sales. This comes shortly after Chinese branches of UK-based pharmaceutical giant GlaxoSmithKline were accused of bribery and over-pricing. These cases bring to the fore many of the issues surrounding the policing of ethics within the pharmaceutical industry. It is obvious that there is a conflict of interest arising out of the fact that these companies are, in theory, dedicated to the well-being of their patients while at the same time trying to maximize profits already in the billions. These allegations of bribery suggest that perhaps the push towards increasing revenue is taking precedent over the health of consumers. Further, the allegations against Sanofi and GlaxoSmithKline highlight the problems with policing an industry that is increasingly global in its scope. As large pharmaceutical corporations begin setting up joint ventures and agents in more and more countries, it becomes more difficult to ensure that all branches are complying with best practices. In an industry where transactions have a direct impact on consumer health, compliance and proper case management is vitally important. In Sanofi’s case, an anonymous whistleblower told a Chinese business newspaper about the instances of bribery, which they allege occurred back in 2007. Sanofi has responded that they are seriously investigating the claim and will take appropriate action in order to resolve it. However, the fact that the bribery took place over five years ago with either no knowledge or no disciplinary action on the company’s part is troubling to say the least. Either the incidences of bribery were overlooked because of their positive impact on revenues, or Sanofi remained unaware that they were taking place. Both eventualities are problematic, and point to a need to look into more effective ways to police pharmaceutical corporations, especially as it pertains to their international dealings. Clearly, when dealing with companies of this size, internal ethics reporting is key. Were it not for the whistleblower alerting newspapers of Sanofi’s activities in China, it is unlikely that the bribery would have come to light. With global agents acting in a seemingly independent manner, and an industry whose business model maintains profit margins high enough to allow for kickbacks to doctors, it is no wonder that there are compliance issues such as those facing the Sanofi and GlaxoSmithKline. When customer health is a key part of a business, these concerns are understandably heightened, and as such pharmaceutical companies should be among the most rigorous in their investigation and management of ethics-related issues. This has obviously not been the case in the instances mentioned above, and points to a need to re-evaluate the means by which pharmaceutical companies are policed and held accountable. Sanofi commented that it had zero tolerance for unethical practices, but clearly does not have the systems or policies in place to identify and properly deal with ethical breaches. As well, the time frame between the incidents and the whistleblower’s report suggests a corporate culture lacking in transparency and accountability. The question therefore becomes how to encourage best ethical practices within the pharmaceutical industry. Its sheer size and scope presents obvious challenges, and unfortunately, the issues facing Sanofi and GlaxoSmithKline are by no means unique. It is clear that these corporations are unable or unwilling to effectively monitor their global branches’ activities. These companies deal with a broad spectrum of health ministries across the globe, with differing regulations and leniencies. As such, it is important that they maintain a strict code of conduct and ethical policies regardless of what country they are doing business in. This should be supported by a strong case management and anonymous reporting system to allow for a clear understanding of activities from the ground up. The money generated by the industry means that large corporations are viewed as intimidating and powerful, and perhaps fear of reprisal from these large corporations discourages employees from exposing violations. However, it is increasingly important for the industry to foster a culture which encourages and supports internal whistleblowers. If ethical loopholes exist (such as the labelling of bribes as ‘research grants’) in the corporate structure or regulatory bodies, companies must be able to rely on information from those directly experiencing infringements and act accordingly. And if you are an American company conducting business overseas, you need to be aware of the FCPA legislation that could affect you. Download our guide to review how the FCPA affects you.